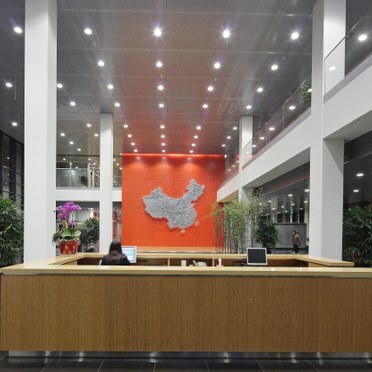 A combination of Thorn fluorescent and LED lighting has been used to illuminate one of the most modern corporate offices in the Asia Pacific region.The Bosch China headquarters in Shanghai has approximately 6,500 energy-efficient luminaires - mainly twin 49W T5 (T16) recessed Quattro fixtures and D-CO LED downlights - providing a good working illumination of 500 lux for over 1,500 staff. 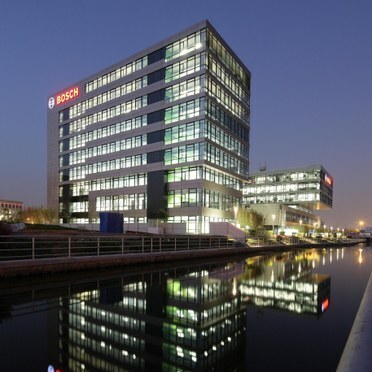 The $980-million CNY (EUR117 million) complex is designed to house three business streams - automotive technology, industrial technology and consumer goods & building technology. 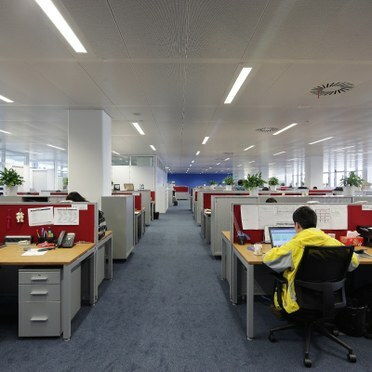 Additional workspace includes a substantial R&D facility and training centre. 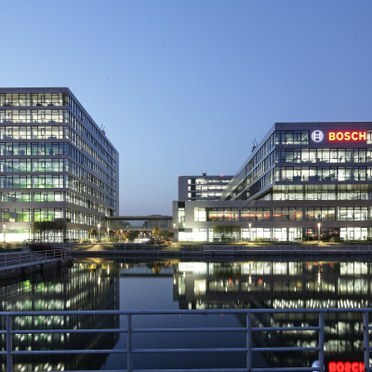 Opened a little under a year ago, it sets new standards of efficiency helping Bosch to remain the world’s leading supplier of auto technology and products. The brief to the lighting manufacturer called for fixtures to meet strict energy conservation and environmental protection objectives, cater for specific functions and areas and highlight architectural aesthetics. The lighting solution for the impressive 78,000 sq. m building was designed according to Thorn’s PEC (Performance, Comfort and Efficiency) concept. The T5 fluorescent lamps outperform the state-recommended standards with a luminous efficiency above 85 lm/W, a luminaire efficiency greater than 65%, and an actual lighting power density of 14.2 W/m². The Quattro luminaires also employ high-frequency electronic ballasts to further reduce power consumption and improve lighting quality. 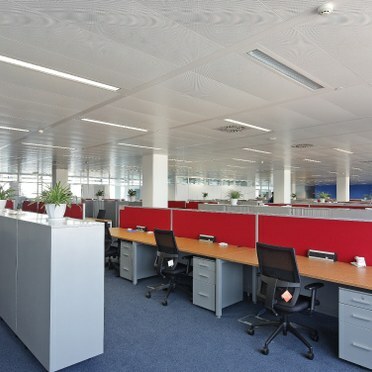 The lighting is pleasantly subdued using low glare (UGR < 19) Cat 2 fine-mesh louvres. In addition, the optics increase the vertical luminance, which enhances the dimensions of objects, encourages information exchanges, and boosts productivity and work enjoyment. By using 4000K tubes with a high colour rendering index (>80) it was possible to create a soft, natural-looking ambience. Finally, the luminaires were custom made for each particular ceiling grid system and ceiling colour. This allows the lighting to blend harmoniously with the ceiling.